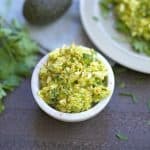 Tangy, flavorful, super easy, and just what you need for your next summer cookout!! 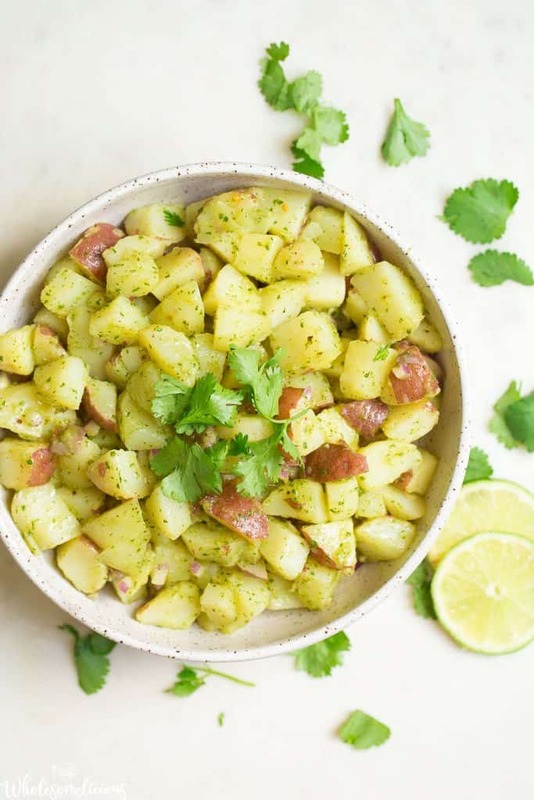 This Cilantro Lime Potato Salad has it all! 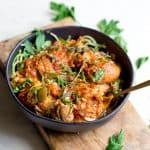 Paleo, Vegan, and Whole30 approved. 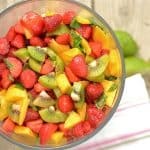 Oh dear lovely readers, are you craving summer as much as me?? This lover of winter is ready for some summer cookouts, flip flops, pool time, frosty beverages, late nights outdoors, and fun memories with my family and friends! Good thing it’s Memorial Day weekend!!! Woot woot!!! It’s also my official last day of packing school lunches until August. And for all of you mamas out there, you know this is something to celebrate! So let’s dig in to the long weekend………. 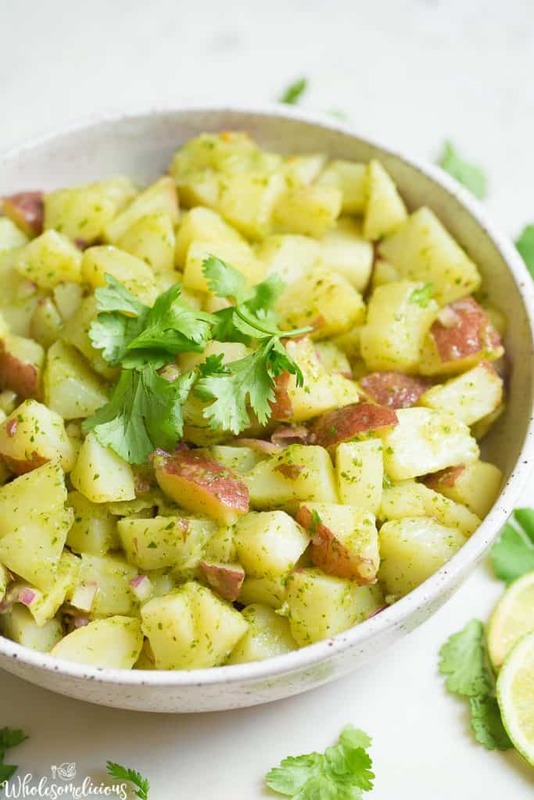 With a bowl of this Cilantro Lime Potato Salad! You may or may not know that I kind of hate mayonnaise. Like legitimately, the one food I have NEVER in my life been able to eat. I tell you all of these important facts to let you know that my version of the perfect potato salad DOES NOT contain mayo. Instead, it’s a tangy, vinaigrette-y, herb-y, and all these other delicious things that work perfectly with potatoes. 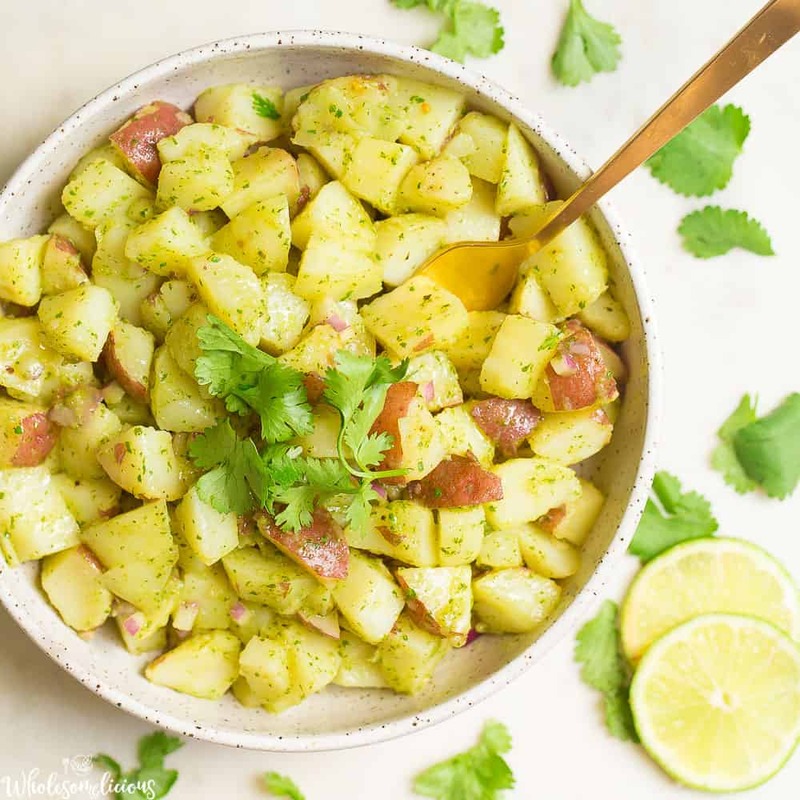 After spending 4 years in Germany and falling in love with their take on Potato Salad (German Potato Salad is still a recipe I make often), I also wanted another potato salad recipe that would pair well with some of my favorite grilled recipes. 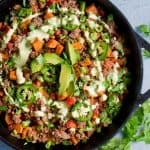 And something my Vegan friends could also enjoy! Insert: Cilantro Lime Potato Salad. The sauce on this salad is pretty much my favorite thing ever. 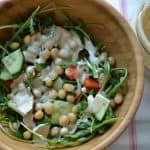 I love that the potatoes soak up the flavor, and the salad only gets better by sitting in the fridge for some hours. 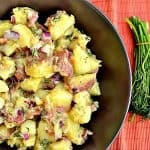 You can easily add some bacon to this potato salad for some extra flavor, but I’ve been going meatless all week and left it out. Enjoy my friends, and happy grilling! Begin by preparing your potatoes. Skin the potatoes, or keep the skin on (I usually do half and half). Bring a large pot of water to a boil. Slowly add in the potatoes and cook for about 30 minutes. You want the potatoes to be soft, but still hold their shape and be slightly firm. Drain the water and cut into small chunks. Place inside a large bowl. Immediately add 1/4 cup lime juice to the warm potatoes. 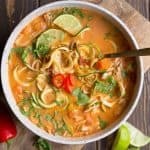 This will help them soak up some of the tang and keep a good flavor. Now make your dressing. In a food processor, pulse together oil, vinegar, cilantro, garlic, coconut sugar (if using), and 1/2 tsp salt. Pulse until smooth, and cilantro has been completely incorporated. Pour dressing on top of the potatoes and stir gently to coat. Fold in red onion, and additional cilantro. Refrigerate for at least 2 hours to let the flavors meld and dressing soak up in the potatoes. Recipe tastes best made the night before you want to serve!